WH To CNN: We're Pulling Acosta's Credentials Again - Joe.My.God. White House officials have reportedly sent a letter to CNN’s Jim Acosta indicating they will suspend his press pass again once the temporary restraining order that required them to restore Acosta’s credentials expires, CNN reported late Sunday night. The 14-day order was issued Friday, and unless the judge extends it, it would expire at the end of the month. 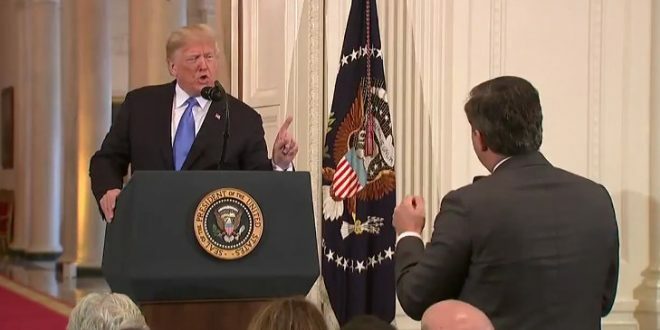 In a ruling seen as a victory for press freedom, U.S. District Judge Timothy Kelly, appointed by President Donald Trump, ordered the White House to temporarily restore Acosta’s press pass on Friday while he considers the merits of the case and the possibility of a permanent order.